BEST Forex Bonus - Updated Daily! 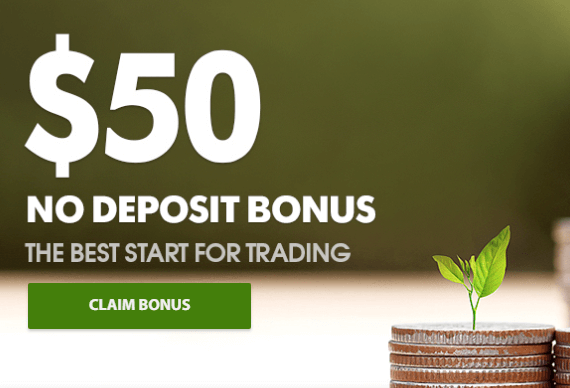 SuperForex, authorized by the IFSC, is welcoming the new clients with an outstanding $50 No-Deposit Bonus upon registration of a Real Trading Account and completing the verification process. The new clients can use this offer to try out the company products, tools and other services, all free of charge! Plus this great opportunity has no deadline, so enjoy its benefits for as long as you wish! The eligible clients are required to open a Real Standard Trading Account, confirm their info and apply for the bonus. You can use the bonus for trading only; however, profits are yours to withdraw. For every standard lot that you trade, 1 dollar will be available for withdrawal. Simply go to your personal cabinet on the company official website, open a Real Standard Trading Account and provide the required info for the verification (name, address, phone number, and email). Then, read the Bonus Agreement and submit the “Get the No Deposit Bonus” and receive the bonus in your trading account within 2 days. Start trading right away and withdraw the profits. The bonus is offered once per client; the same goes for multiple account holders. The bonus cannot be joined with other promotions such as the 40% Welcome Bonus, 60% Energy Bonus, and 120% Hot Bonus. Withdraw the profits after trading the necessary number of lots. Get SuperForex $50 Free Bonus Now! Risk Warning: Trading forex carries a high level of risk and may not be suitable for all investors.